Polycarbonate adding Glass Fiber are used for making our fins for strength enhancement. Polycarbonate is a kind of tough plastic. It is commonly called “Transparent Steel” from its excellent performance in impact resistance, light weight and glass-like transparency. Thus Polycarbonate is even used for bulletproof windows and canopy of the F-22 Raptor jet fighter. The weight of our PC+FG fin is lighter 25% than G10 fin. The G10 fins are made by laminate layers of fiberglass together. The screws’ holes are drilled after the fin finished. So, the screw’ holes of G10 are weak. It may easily get rub damage by fixing the screw on it or corrosive damaged from salt water. Our PC+FG fins are made by high pressure injection forming machines. The screw’s holes of our fins are formed when the fin is molded. The material of PC+FG is salt water resistant. No worry to damage the screw’s holes whenever you want to remove or reassembly the fins. The fins of kiteboard hit sands, rocks and something hard very often when you kite. The laminating layers of fiberglass of G10 fins some time splitting or rub damaging when them hit hard object. Our fins be made one piece with mixing PC+FG material. So, it is impossible for they be split by hitting object. They are really harder than G10 fins. 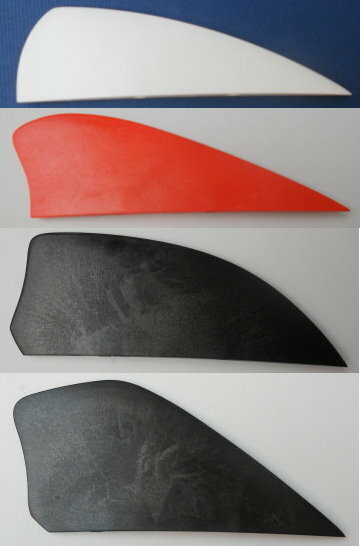 Our company produce 1.5, 1.75, 2 and 2.25 inch kiteboard's fins. We store 6 colors in our warehouse. Those colors are white, orange, green, black, Blue and clean color. You can order any size and color of our fins. We can ship them to you right away. 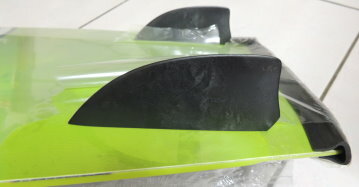 If you hope to order the others color fins, the minimum order quantity for one color is 200 pcs for each fin size. We can print your logo on our fins. 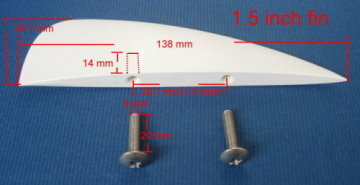 Our 1.5 inch fins can be set up with 2 screws or 1 screws. If you order white, orange, green, black, Blue or clean color fins. We can ship them to you right away. 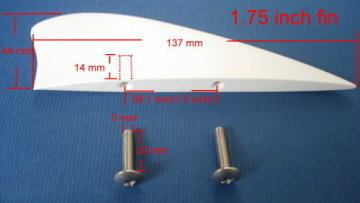 Our 1.75 inch fins can be set up with 2 screws or 1 screws. 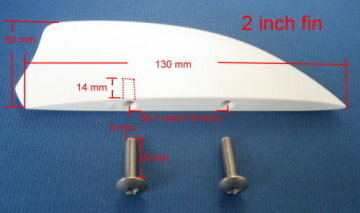 Our 2 inch fins can be set up with 2 screws or 1 screws. Our 2.25 inch fins can be set up with 2 screws or 1 screws. 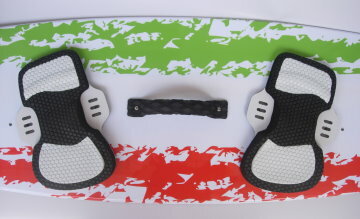 The 2 inch black color fins be set up on our kiteboard. Soft EVA and fine fabric are used for the straps to ensure your comfort as you are wearing them on the water. 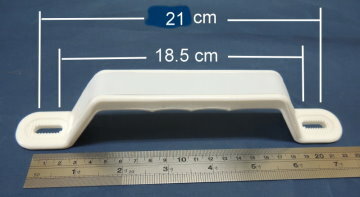 'Fit-Block' pad connection system is used to make you easy to fit this straps to your pads and board. This 'Fit-Block' pad connection system allows every rider to find the perfect fit for the way that they ride, and make the adjustments of strap tension and angles have never been so easier to you. Added width of the foot strap gives the rider controlled riding, high performance and terrific response when doing power moves. 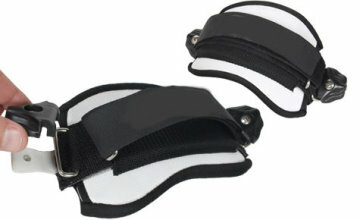 Large Velcro adjustable foot strap makes the foot strap adjustments very easy and prevents the foot strap from twisting. Just send us the graphic file of your logo. 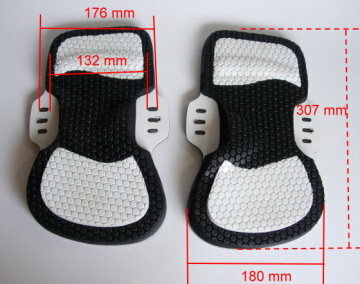 We can produce the foot straps with your logo in short time. 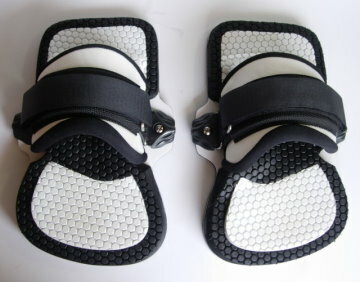 Perfect combination of foot straps and pads. 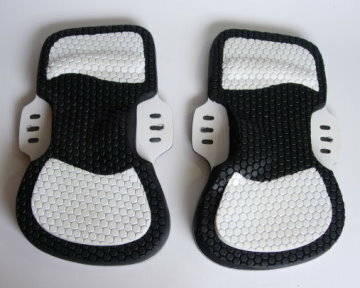 Our pads featuring 3-D molded foot bed and modern ergonomics have amazing grip and foot arch support to ensure a very secure and comfortable ride. Toe insert: 2mm white honeycomb texture glued with 10 mm black EVA. Toe Grip: 2mm white honeycomb texture glued with 5mm orange EVA and 10mm black EVA. Top later: 2mm black honeycomb texture glued with 10mm curve EVA and 2 layers of 10mm black EVA. Heel insert: 2mm white honeycomb texture glued with 6mm white EVA and 2 layers of 10mm black EVA. The anti-slippery honey texture on the pads increases the adhesion properties giving the riders better control over the board. 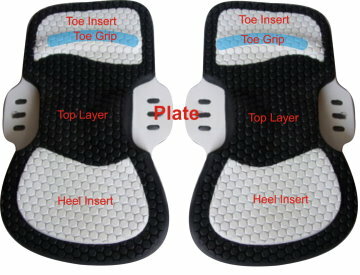 Please refer to the left graphic for the dimension of the pads. The pads on the kiteboard. We use the plastic and the steel mold to produce our grab handle of kiteboards. 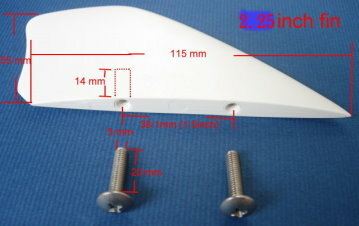 Our handle can be used on the kiteboards that the distance of setting the handle on the board is 18.5 to 21 cm . Regarding the dimension of our Grab handle, please refer to this graphic. 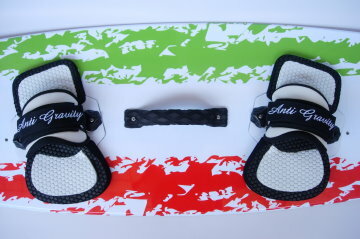 The straps, pads and handle on the kiteboard.